The Comfort Inn hotel in Mobile, AL is located off of Interstate 65. This Mobile hotel is near Spring Hill College, Bel-Air Mall, Bellingrath Gardens, USS Alabama and the University of South Alabama. 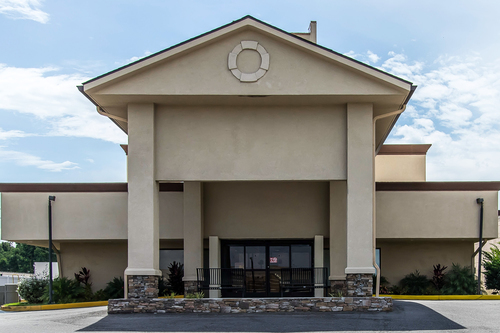 The Comfort Inn provides easy access to businesses like the Alabama State Port Authority, Alabama Power, Airbus and ThyssenKrupp. Amenities include free WiFi, business center, exercise room and seasonal outdoor pool. Our hotel also offers a free hot breakfast with a variety of options like eggs, fresh fruit, waffles and more. All rooms include a coffee maker, desk, flat screen TV, refrigerator and microwave. Select rooms include a sofa sleeper. Book today at the Comfort Inn hotel in Mobile, AL! 180 W. I-65 Service Rd. S.